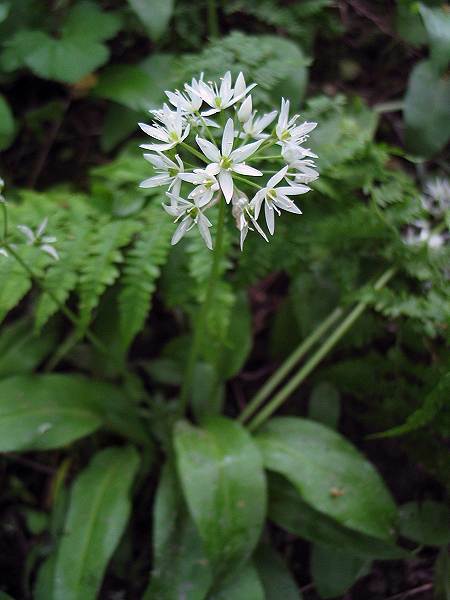 Ramsons (Allium ursinum) also known as wild garlic or wood garlic, a bulbous perennial which has a strong garlic smell. White flower on a leafless stem growing up to 35cm to 50cm tall. Can be found carpeting damp shady areas from May - June.